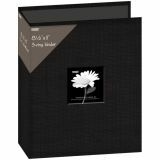 Fabric 3-Ring Binder Album 8.5"X11"
Fabric 3-Ring Binder Album 8.5"X11" - PIONEER-Fabric 3-Ring Binder: 8-1/2x11 inch. 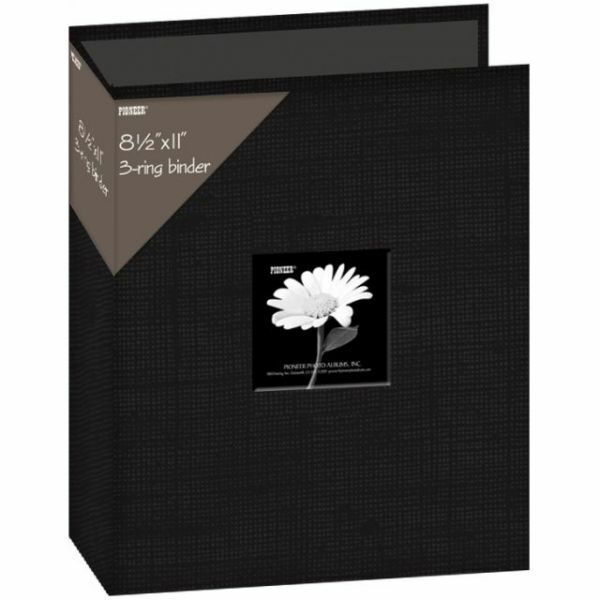 These durable fabric covered binders feature a 3-1/2x3-1/2 inch photo window on the cover and secure D-ring closure so your pages and photos stay safe. Uses 8-1/2x11in 3-Ring page protectors (sold separately). Actual album measures 11-1/2x12x3 inches and comes with a protective plastic cover. Imported.